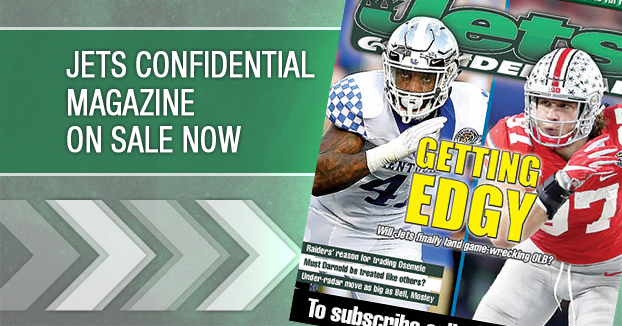 The next issue of the Jets Confidential Monthly will be mailed next Tuesday. 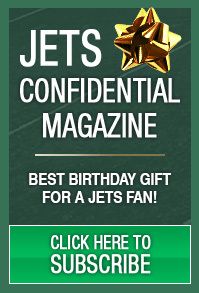 It was loaded with fascinating inside info on the Jets, you can’t read anywhere else, including nine pages of Whispers. That isn’t a typo – NINE pages of Whispers. You can subscribe to the monthly on this website, or by calling 1-800-932-4557 (M-F, 9-5). The print version of JC is ENTIRELY different content than this website.